Put a twist in your style by wearing this T-Shirt from the house of Stop. 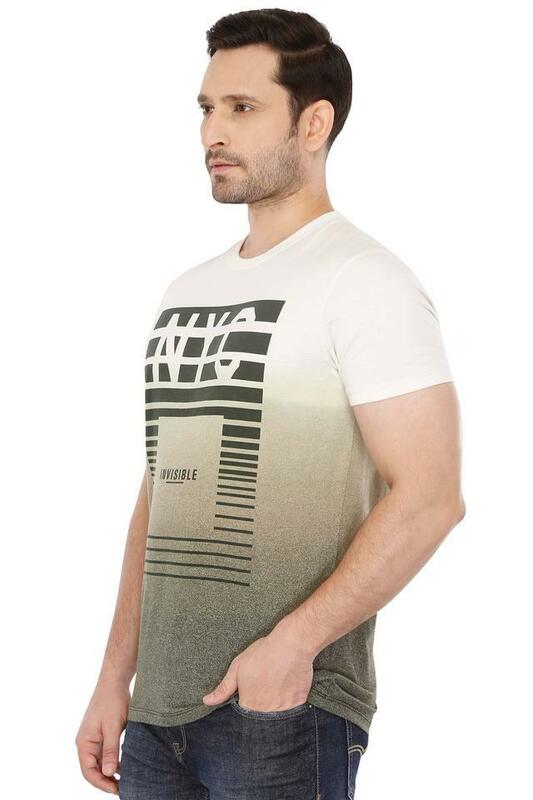 It is tailored with care using a fine quality fabric, which will keep you at a high level of comfort for long hours. 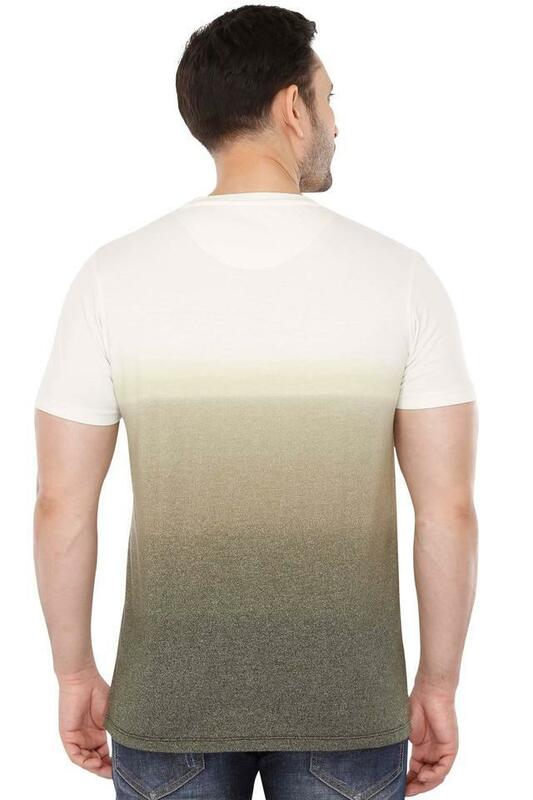 In addition, it features a colour block pattern with a print detailing at the front that will lend you a trendy look. 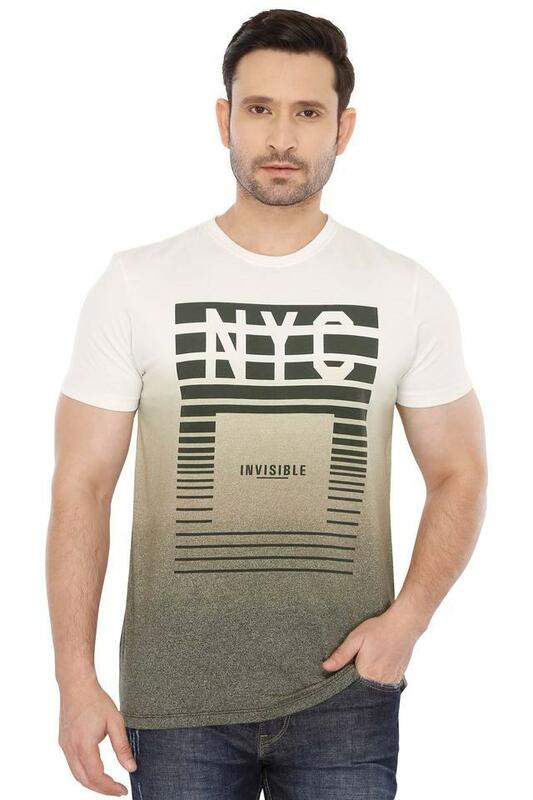 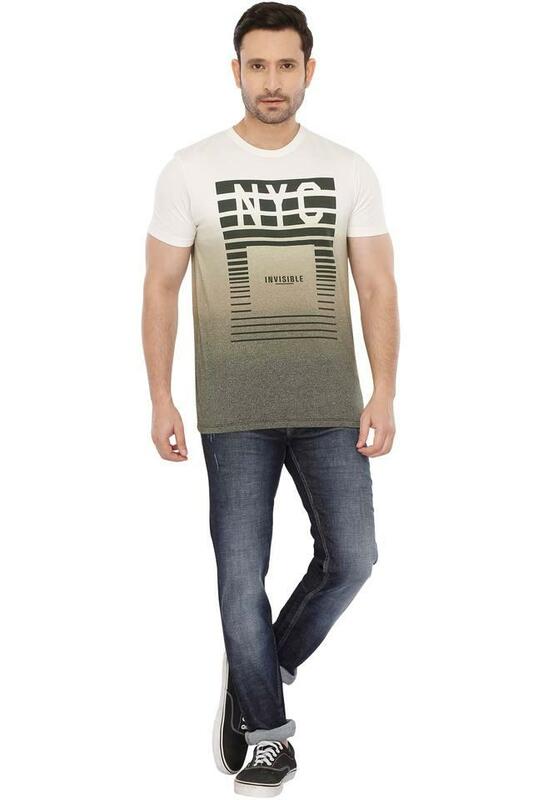 Jazz up your fashion quotient by wearing this colour block T-Shirt. You can match it with any of your favourite jeans and a pair of lace up shoes to stylise your casual look.